Spencer Higgins obtained a Master of Architecture in Urban Design at Harvard University in 1976 and a Bachelor of Architecture degree from the University of Toronto in 1974. Since 1981 he has practiced as Spencer R. Higgins, Architect Incorporated, a Toronto based firm providing consulting services in the conservation of historic buildings. Previously from 1977 to 1979 he was in general private architectural practice. He was awarded a Certificate in Architectural Conservation from the International Centre for the Preservation and the Restoration of Cultural Property in Rome in 1980. He studied under Sir Bernard Fielden who directed the UNESCO programme at the time. 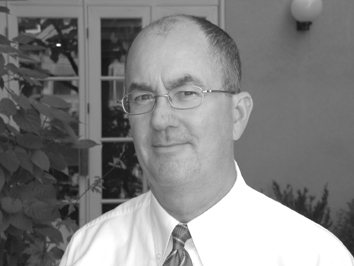 Mr. Higgins is a member of the Association for Preservation Technology (APTI) where he has served on several conference organizing committees and has given numerous papers. He is also a member of the International Institute for the Conservation of Historic and Artistic Works (ICC), the International Council of Monuments and Sites (ICOMOS), and the Canadian Association of Professional Heritage Consultants (CAPHC). He presently serves on the CAPHC Membership Committee and until recently served as a Board Member. He is a member of the Advisory Board and a past member of the Council of the Architectural Conservancy of Ontario, and past Secretary-Treasurer of the ICOMOS Canada Stone Committee. In 1989-90 he served as a Steering Committee Member for the Stone-cutters Programme inthe Apprenticeship Branch of the Ministry of Skills Development, and in 1985-86 was a member of the Heritage Task Group for the Residential Renovation Guidelines Advisory Board in the Ministry of Housing.